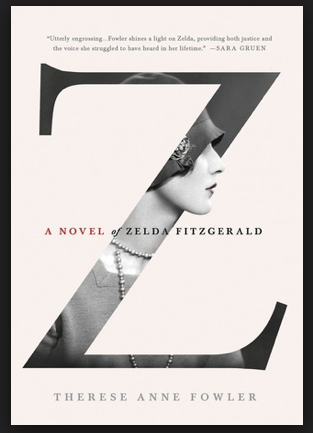 Z is a relatively new book, being published just last year in March, and is a fictionalized account of Zelda Fitzgerald's life basically from the time she met F. Scott to her death. (Spoiler alert: yes, she dies.) From what I can tell from reading the acknowledgements and author's note (because I am one of THOSE people who reads every single page of every book), Therese Anne Fowler did a ton of research before writing this book, so although it is fiction, it's largely based on fact. This was a quick, interesting read--I'd say the kind that's perfect for a beach and/or vacation book. It's long enough that you won't finish it in a day and "meaty" enough that you feel like you're learning something, but it won't bog you down with tons of dates and facts. In many ways, this was a good book to start off my 2014 reading list, because I now have zero aspirations to be rich and famous. Apparently they all have terribly depressing personal lives. But I guess that's Hollywood for you. Ernest Hemingway makes a cameo in the book as well, since he and F. Scott were close friends, and all in all this was a great book. I most likely won't read it again, but that doesn't mean I wouldn't recommend it to you fine bibliophiles, and that certainly doesn't mean I didn't enjoy reading it in the first place. If you're a fan of historical fiction and/or a fan of famous people and/or want to feel better about your own life by reading about people who made a nice mess of theirs, it's safe to say you'll like this book. The Fitzgeralds are so interesting to me! But I agree, I would never want to be them. I want to read this one though! Agree, being rich makes you sad (funny how that works?). I thought The Great Gatsby was so depressing, even while it was all still happy and they partied in gold. Yay-you read it! One of my favorites :) I agree that her research is pretty cool-I even listened to some interviews with Fowler about her journey! Neat stuff. This is probably something I would love...and find fascinating! Thanks for the rec! Thanks for the recommendation! I'm definitely interested. Also, I noticed that the bottom of your post says "Related: The Paris Wife . . ." What did you think of that book? I have an excerpt from it on my Kindle. Wanted to read the sample before buying. I haven't read The Paris Wife, actually. But it's on my to-read list. I haven't heard a negative review from anyone I know who's read it! I've heard they go very well with each other. I am going to have be on the lookout for this as I loved The Paris Wife! I fine the real life stories of the Fitzgeralds fascinating! Especially since we moved here, to where the Vanderbilts lived in complete rich glories, and where Zelda spent her last days. I am reading this one, thanks for the recommendation!! This book made me so sad! We glamorize the lives they had when really they were all straight up depressed and miserable. As I was reading this I was thinking that it sounded very similar to The Paris Wife then I saw you added that at the end! Thanks for sharing! Sounds interesting! The Paris Wife is on my to-read list as well, so I'll have to add this one to follow the theme. I have an odd question. What did Zelda call her husband? F. Scott? Scott, or maybe Francis? I'm reading a historical novel by Erik Larson, In the Garden of Beasts, at the moment. However, I can't recommend it because it's boring me to tears. But I can't give up! Z sounds interesting, but I find that I need to space these types of books out on my list to keep me interested. That's an excellent question! At least in the book she called him Scott. I would enjoy this, thanks for the recommendation! Ernest Hemingway's, A Farwell to Arms is a good read as well.